People in developing countries can face huge hurdles getting cataracts correctly diagnosed and treated. 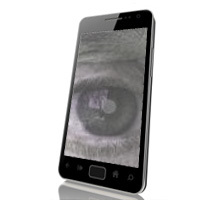 A new smartphone app called “Vula” helps diagnose cataracts using a photograph. A routine and very short cataract surgery can then be scheduled. This app is helping overcome barriers to treating this very common source of vision impairment and blindness. Cataracts are a film that form on the lens of the eye, especially in older adults. The lens becomes cloudy over time to the point that no light gets through, resulting in blindness. In the West, a routine 20-minute surgery replaces the lens with a new, artificial lens. In Africa, remote villages may have limited or no access to ophthalmologists and many therefore never receive a proper diagnosis, which is the first step to treatment. “Vula” means “open” in several African languages. This app was developed by Dr. William Mapham, an ophthalmology registrar at Tygerberg Hospital in South Africa. Healthcare workers conduct a vision test, take photos of the eye, and review a list of symptoms. This data can be sent electronically to an ophthalmologist, who interprets it, diagnoses any existing eye disease, and creates a treatment plan. Previous Previous post: What are the Symptoms and Treatments for Cataracts?